A few years back I started reading up on cosmetics and the ingredients they contain that can be very harmful to your health. (You can find more information on the safecosmetics.org website or on the organic beauty talk blog.) It was quite an eye-opener and all I wanted after reading these horror stories about possible carcinogenic and allergy causing ingredients, was some natural beauty products to replace my staples that weren’t looking so good all of a sudden. In an impulsive but very liberating 10 minute raid I threw out most of what I had in my bathroom cabinet. I felt better instantly… until 5 minutes later I asked myself: now what? Since I didn’t want to embark on a make-up free, no deodorant, no shampoo kinda journey just yet, I decided to look for beauty products that would be both good quality and great deals but most importantly, as safe as possible. Nowadays, I usually go for certified organic products but sometimes I will opt for non-organic as long as they don’t contain some of the more harmful chemicals. Generally, I follow a “no chemicals, no problems” type of mantra when shopping for beauty products. I have never regretted it and I want to share my favorite natural beauty products with you here. Finding a natural face wash/makeup remover or face scrub isn’t easy as most conventional ones contain SLS (sodium lauryl sulfate) or SLES (sodium laurate sulfate), the foaming ingredients that, unfortunately, are quite harsh to your skin. There have long been claims of SLS and SLES being linked to cancer, but scientifically these claims have not been substantiated. What is undisputed, though, is that SLS and SLES can cause skin irritation and skin corrosion. 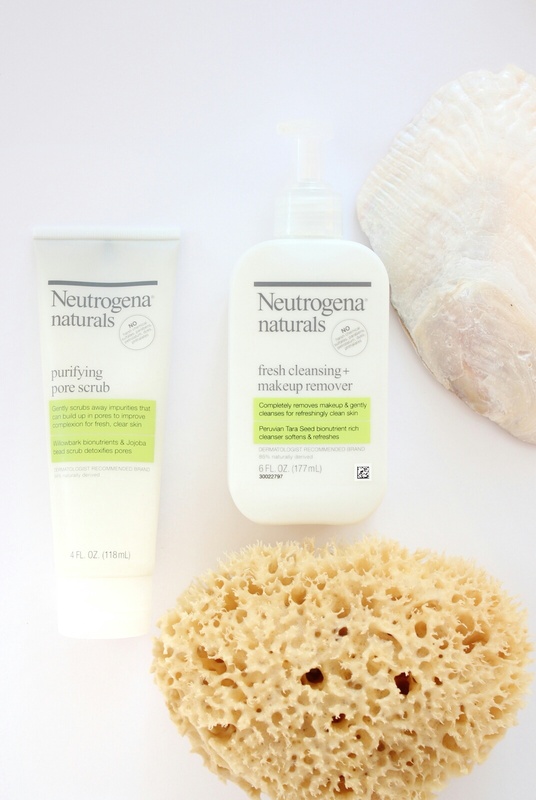 I like to wash my face with water and I was pleasantly surprised when I found this face wash and scrub from Neutrogena, a major brand that you can buy at any drug store. Although not completely chemical free (e.g. they contain “perfume” which can cause allergies), they are free of harsh chemical sulfates, parabens, petrolatum, dyes and phthalates. I love the citrusy smell and refreshing texture on the skin. So if you are looking for an easy transition to safer and still affordable beauty products, this is a great option. If after reading up on unsafe cosmetics you are done with anything chemical then this soap is for you: natural jasmine rice soap from Cambodia. Similar soaps are found all through south-east Asia and they are quite cheap, a couple dollars usually. So make sure to scoop one up if you are lucky to go there. They are 100% natural and your face will be smooth and refreshed. I love the powdery smell of rice and it always reminds me of a beachy summer stay. This is my go-to face mask for whenever my skin is acting up and I feel like I need a deep cleaning mask to do its magic. It is quite liquid, i.e. when you first open up the tube some residial water will come out. It dries up quickly on your face, though, and best of all: you can still move your face muscles (convenient if you want to sit on the couch and still communicate with the person next to you.) 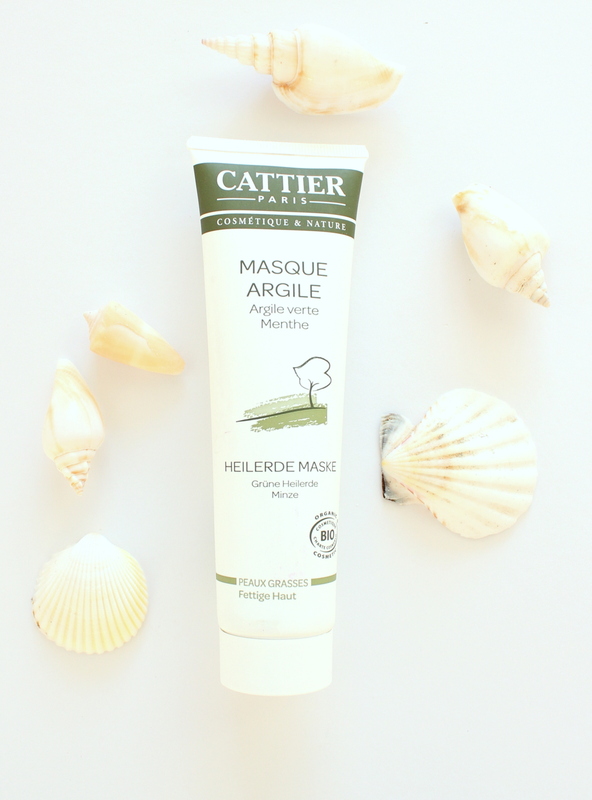 The green clay mask for oily skin washes off easily and will leave your skin feeling clean and refreshed. Dr. Bronner’s is a brand that has been around for ages and it is a household name when it comes to certified organic and fairtrade soaps. My favorite smell is the peppermint version of the pure-castile liquid (pictured above) and bar soaps as well as the body lotion (pictured). The pure-castile liquid soap is very economical, and so is the bar soap. These products are not tested on animals, are 100% vegan and the packaging is made of 100% recycled materials. 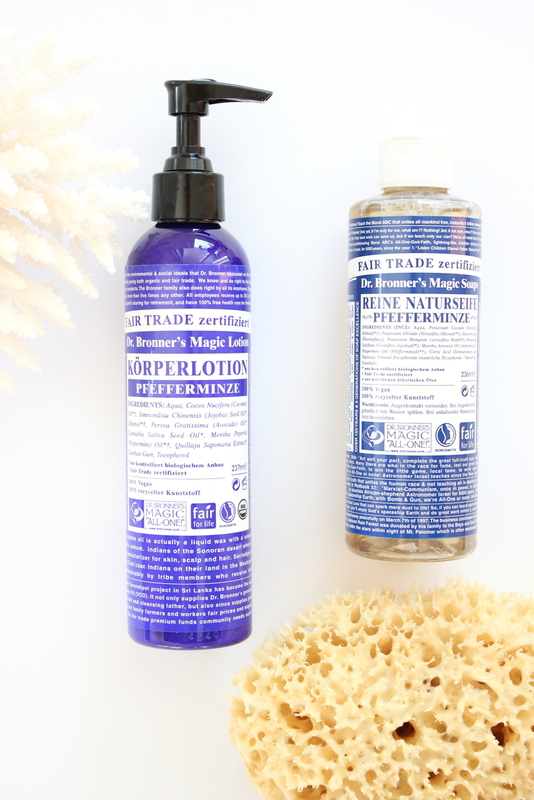 If you are looking for a one-source place for all your body care product needs, Dr. Bronner’s has you covered. 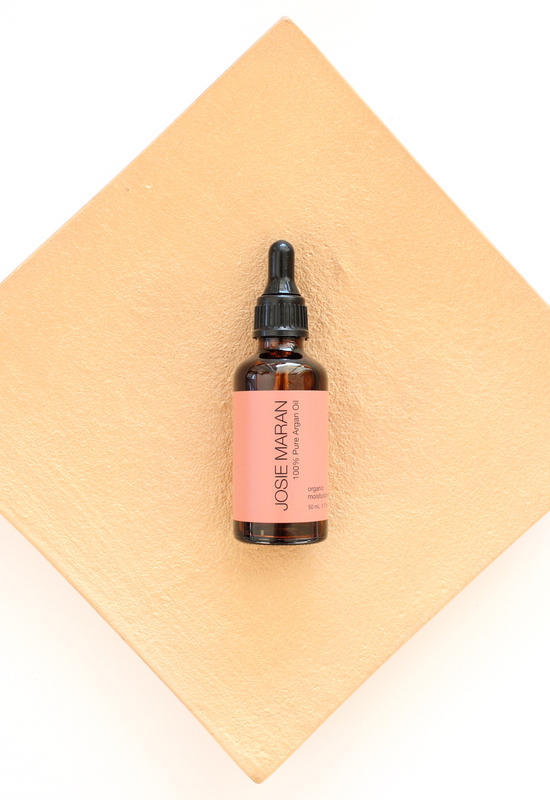 Josie Maran, besides being one of my all-time favorite Maybelline faces, has created an awesome beauty product line named after herself. Her best-selling product is this 100% pure organic argan oil. If you don’t already know it, you will wonder how you lived without it for so long. Now, to be honest, I was very skeptical in the beginning because I thought I didn’t need any additional oil on my face but I got on the oil loving wagon pretty quickly. Her oil is very light and it will make your skin as smooth as you’ve always wanted it. I think it is reasonably priced for such a high quality product. 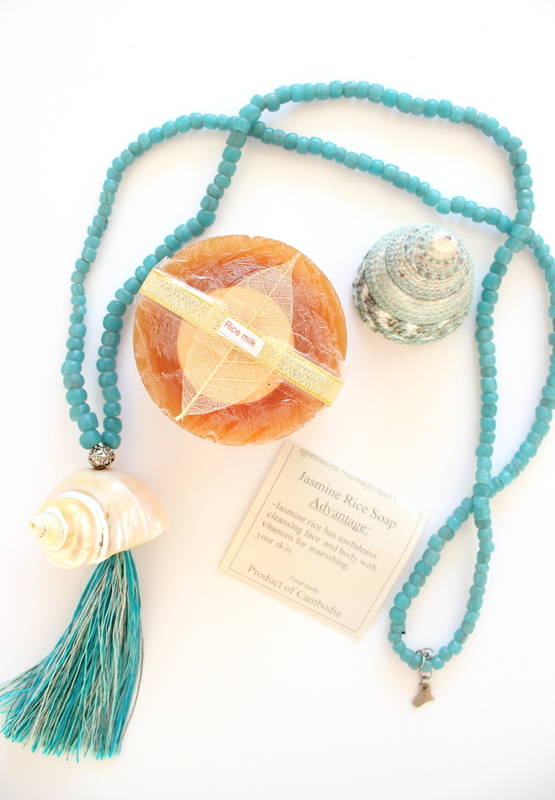 You really get to enjoy some luxury on your skin with a good conscience. This is one of my favorite beauty care duos: The bodywash and body oil from bellybutton. It was created for pregnant women and mothers but has quickly become a favorite among any women who struggle with stretch marks or cellulite. I have had cellulite for as long as I can remember and even though I don’t obsessively fight it, I don’t mind if there is a way to soften it up a little. This body oil does just that! Keep in mind, cellulite won’t diminish without some serious change in nutrition and exercise, and even then, it is very hard to get rid of completely. I, for my part, am just happy to have found a lovely organic body oil that helps making my skin smoother and more nourished. 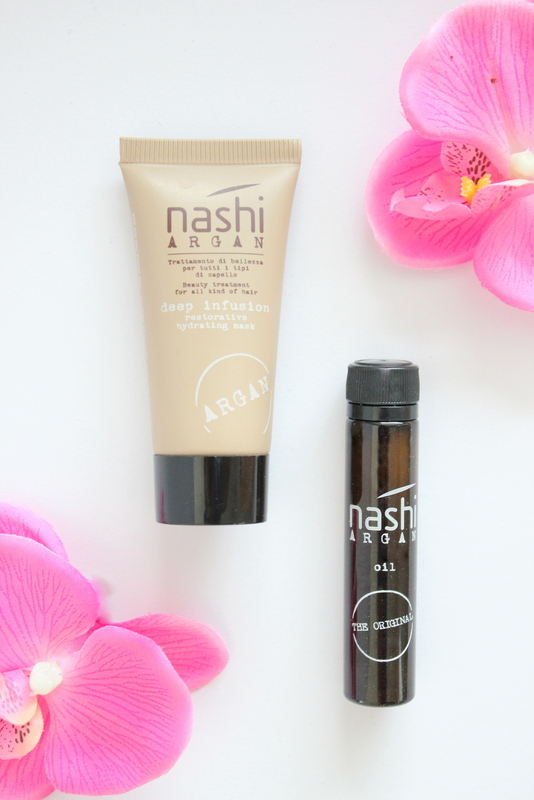 Last but not least, some goodies for your hair: Nashi argan deep infusion mask and Nashi argan oil. Although not organic products, they are free from SLS and parabens. They are super hydrating and my very dry hair just soaks them up like a sponge. I don’t nearly treat my hair as well as I should but every two weeks I make sure to use a hydrating product that doesn’t leave my hair feeling heavy. This is it for me and I love the smell of salon treated hair that lasts for many days. I hope this selection of safer beauty products will make you want to try some of them, or get started on the natural beauty products journey. You will not regret it, believe me, and your health will thank you for it! In the spirit of full disclosure: This post contains affiliate links. If you buy through these links, I will receive compensation. That being said, all reviews and recommendations are based on my personal experience and I only review products and services whose quality I am convinced of. It is how I am able to keep this blog running while still being true to myself, and in turn, to you as well. Great post, hope to read some more soon.